You may recognize our Start Sailing Now theme. 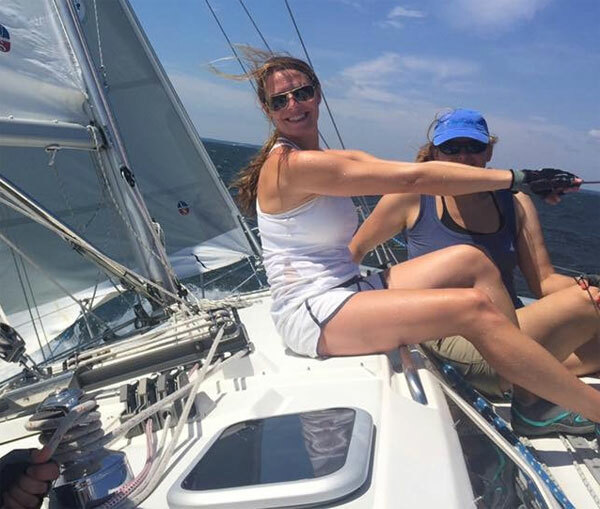 It's the title of our free new sailor guide as well as the name of a monthly page in SpinSheet Magazine, where we profile an individual or couple who took up the sport of sailing in adulthood. Some are racers and some are cruisers. All of them jumped in with two feet. Have you ever wondered how we choose the sailors to be profiled? If you know a sailor(s) who might be a good candidate to be profiled here, send an email to us. It's okay to nominate yourself! We’ll be happy to reach out to for an interview. Meagan Bryant, a 20- year U.S. Army veteran, who says, "Racing can be intense and is a combination of physical and mental stamina. I’m a competitive person and love excitement, so the racing aspect really speaks to me." 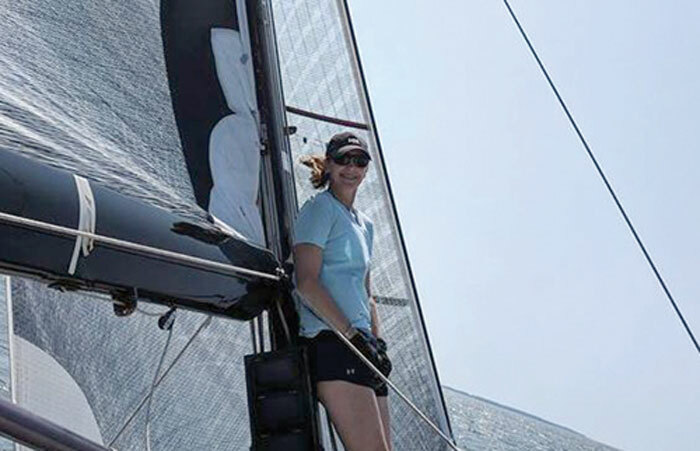 Bryant, who thrives on the bow, now has many invites to contribute her skills to racing vessels in the Annapolis area. On a different path are Patty and Bill Allman. As a child, Bill learned to sail a Sunfish at summer camp, and had fond memories of it. Then in 2016, when a friend at the West River Sailing Club (WRSC) invited him to the flag raising ceremony, he saw that the club had a learn-to-sail program, so he and Patty decided to give each other lessons for their birthdays. In 2017 they bought their first boat Rhapsody, a Flying Scot, which they keep at WRSC, where they have enjoyed the challenge of mastering something new. 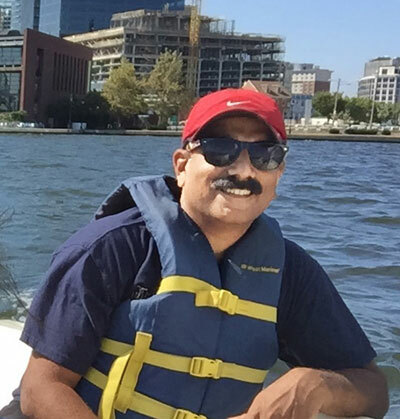 Then there's Santosh George who told us that he stumbled upon Baltimore’s Downtown Sailing Center (DSC) on the internet in 2014, right in time for their Open House. He attended the event, joined the DSC, and began sailing most every weekend during the season on J/22s and Sonars. He also earned his basic keelboat certification. Remember, if you know a sailor(s) who might be a good candidate to be profiled here, send us an email. Thank you!